Is A F.A.A. Certified Repair Station Specializing in Avionic, Instrument And Electrical Installation, Repair And Testing. Is the Northwest Florida and South Alabama Garmin, Avidyne, Aspen, Appareo, Mid-Continent, JP. Instruments, Electronics International, FreeFlight Systems and Genesy-aerosystems (S-TEC) dealer. Carries out work for several state agencies including FL. Dept of Agriculture, FL. Marine Patrol, Fish and Wildlife and Mosquito Control, working on such diverse aircraft as Hughes 269 helicopters to DC 3s. 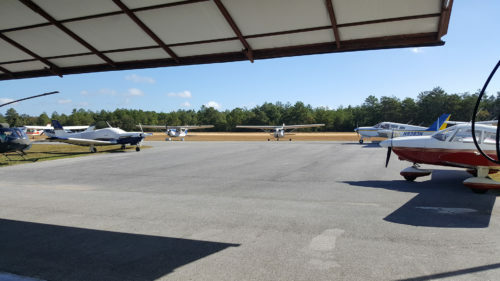 Supports the full range of aviation from local homebuilders and general aviation to, as previously mentioned, state agencies and both Eglin and Tyndall Aero Clubs. Monarch Aviation offers a refreshing approach to aviation. We will listen to you and give what you want; not what we can sell you. We will give you the best value for your hard earned dollar. There are no hidden charges at billing. Extensive post installation/acceptance testing guarantees your satisfaction. Carl was born in London, England and at the age of sixteen joined the Royal Air Force, where he spent the next fourteen years as an Aircraft Electrician Technician working on such diverse aircraft as the Jaguar, Tornado, Harrier GR5, Harrier AV88 and VC10 Tanker. Carl’s Royal Air Force career took him from RAF Abingdon, RAF Honington, RAF Boscombe Down, to Goose Bay, China Lake, and Eglin AFB. Carl has a Bachelors degree in Aeronautics with a minor in Aircraft Accident Investigation from Embry Riddle AU, and an AS Degree in Aircraft Maintenance Management from Okaloosa-Walton Community College. Carl also holds an A&P, IA licenses and a Repairman Certificate. Before forming Monarch Aviation in 1999, Carl worked as an aircraft electrician/avionics installer at Helitech, Inc. in Panama City and at Miracle Strip Aviation in Destin as an A&P mechanic. Carl and his wife, Allison have two grown children and reside in Niceville. Dave was born in Fort Walton Beach, Florida, and upon graduation from High School, enlisted in the United States Navy and served for eleven years as an Avionic Electronics technician. While serving in the Navy, Dave deployed four times on four different aircraft carriers. Upon leaving the United States Navy, Dave moved to upstate New York and worked for Landmark Aviation, where he worked as an avionic technician and installer. After five years in the northeast, Dave decided to relocate back to his home state of Florida and has been at Monarch Aviation since 2013. David has Bachelor of Science in Business Administration. Dave, his wife, Melissa and their three children reside in Freeport, Florida. Ezra Jones, the newest member of our team, is an avionics technician here at Monarch Aviation, with repair expertise on prop and turbine engine aircraft. Ezra has a very ambitious work ethic and labels himself a perfectionist and troubleshooting aficionado. Ezra hails from Bainbridge, Georgia, and upon graduation from high school, enlisted in the United States Air Force serving seven years as an F-16 avionics specialist, where he performed countless line changes and solved many troubleshooting mysteries. While serving in the Air Force, Ezra spent time deployed in Kunsan, South Korea. When not at work, Ezra is busy pursuing his degree in architecture. Other skills include being a talented artist and car audio installer. Ezra, his wife, Alisha and their three children reside in Crestview, Florida. No job is to big or too small. Contact us today for a free estimate or to schedule your appointment.